People living with liver conditions are urged to speak to their GP about the annual flu jab to reduce the risk of complications of the virus this winter. Catching flu doesn’t just mean a couple of days in bed – it can be very serious if you have an underlying health condition. Evidence suggests people with chronic liver disease are particularly at risk from flu and historically these people are also less likely to be vaccinated than people with other long term conditions. Chills, fever, nasal and sinus congestion, sore throat and extreme fatigue are all common symptoms of flu, but if you have liver disease flu could develop into something more serious, such as bronchitis or pneumonia, which in rare cases can be fatal. 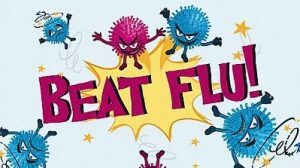 For many people living with a liver condition the thought of becoming seriously unwell is a real concern, so worries of catching flu can be greatly reduced by having the flu jab. The flu vaccine is a simple and effective way to protect against the virus. It’s important that you go for the jab every winter. Last year’s vaccine may not protect you against this year’s viruses and annual re-vaccination will guard against any risk of your immunity reducing. The jab is quick, easy and safe. Once you’ve received the vaccination, it will take around ten days to work and will protect you from flu for about a year. It doesn’t contain live viruses, so it can’t give you flu. However, the vaccine works by helping your body to identify and fight the virus so if you do feel achy for a day or so after getting the jab, this can be a good sign that the vaccination is working and that your immune system is responding. All across the United Kingdom health authorities are providing information urging people to get vaccinated. Read information on who should have the jab. If you are eligible for the flu vaccine then consider having it now – it’s free because you need it.